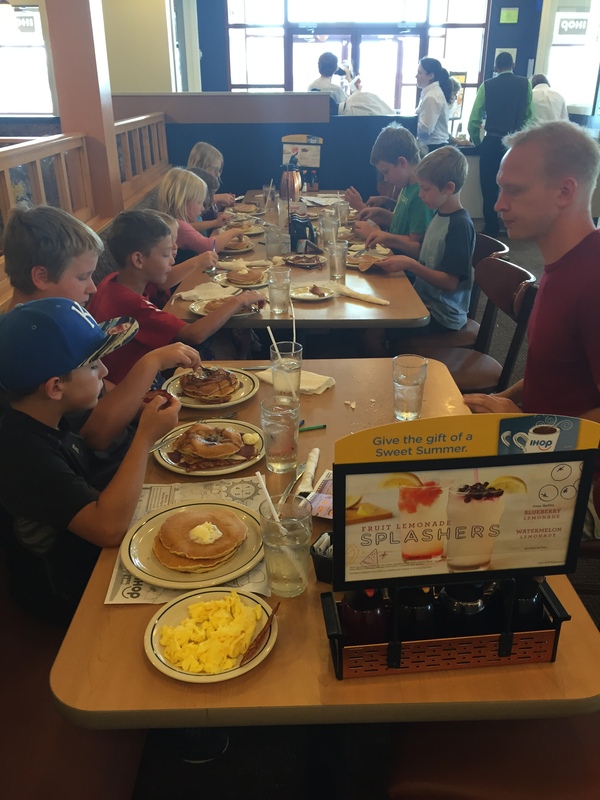 *This post migrated itself from an old blog called Frugalicious Family Fun, originally posted March 8, 2016. 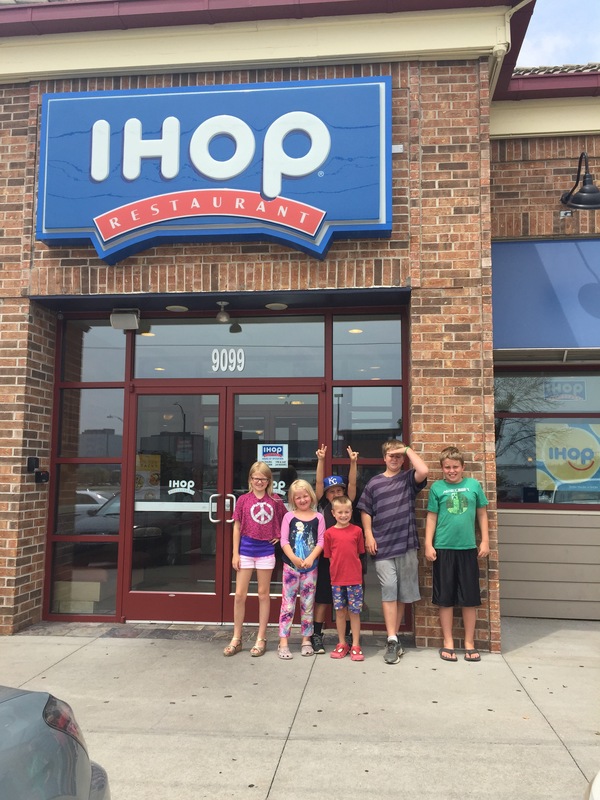 For information on the 2019 IHOP Free Short Stack for National Pancake Day, just click the words! 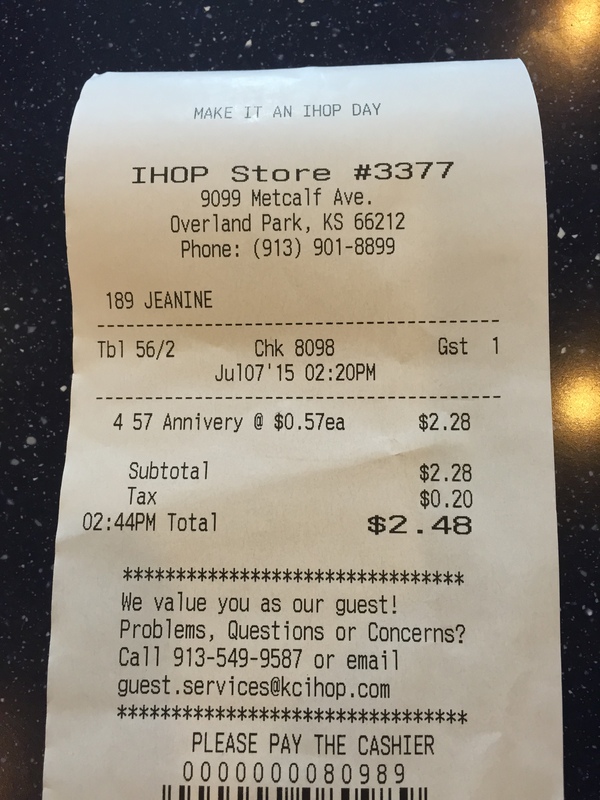 Last July 7, 2015 was IHOP’s (International House of Pancakes) 57th anniversary of being in business, and to celebrate they gave customers a short stack (3 pancakes) for only 57 cents. This was my friend’s bill for his 4 kids. Mine was higher because I got some bacon for the all the kids to share and some eggs for myself. I ate one of my pancakes then got the rest to go for my husband to have later. All the kids had water to save money. We had quite the crew of 12 and might I suggest that if you are able, do not go at night for dinner! The place is INSANELY packed then. Go in the afternoon if you are able; our location was not busy at all! My family LOVES deals like this. 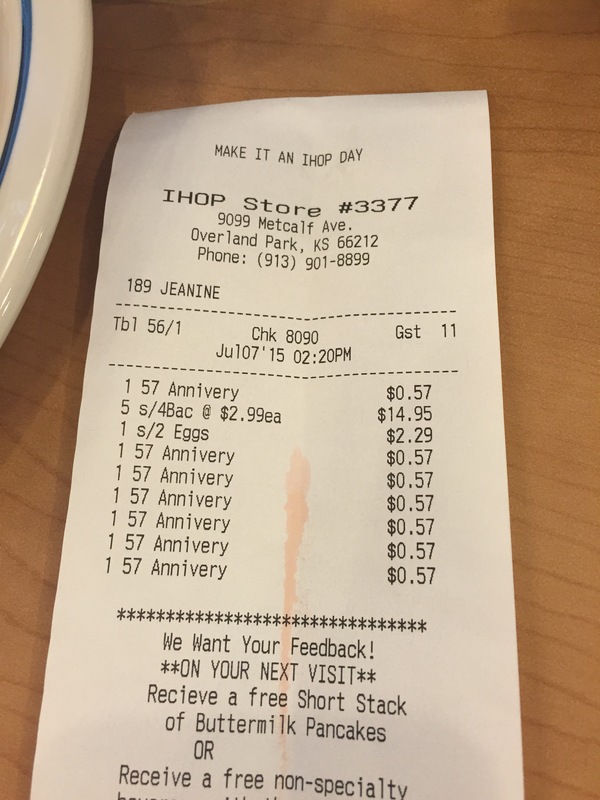 Also every year IHOP does a FREE short stack per person for National Pancake Day.